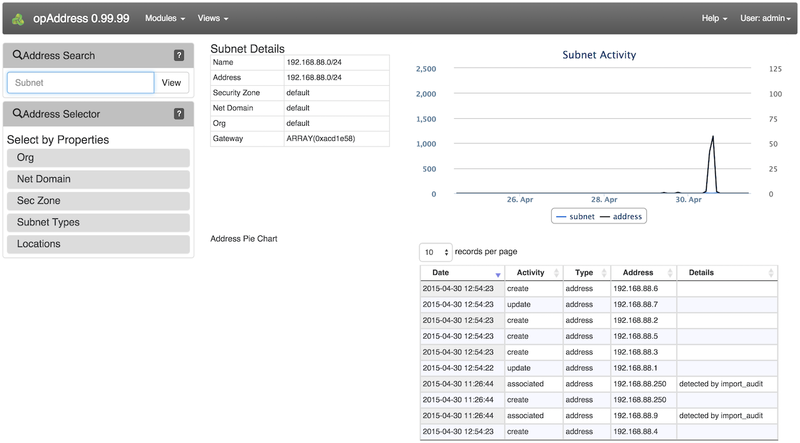 Audit, track and allocate IP address spaces using this simple, accurate and extensible new IP management tool. Take control of address usage in your organization with opAddress. IP address space auditing, tracking, allocating and managing requires a simple, accurate and extensible system to be effective. opAddress will remove the uncertainty and hassle and give you back control of your address usage in your organization. It has been designed to work out of the box with little or no configuration. opAddress will handle complex environments with multi-tenancy, overlapping address spaces and complex security domains easily. Powerful out-of-the-box capabilities put you back in control of your address space, fast. 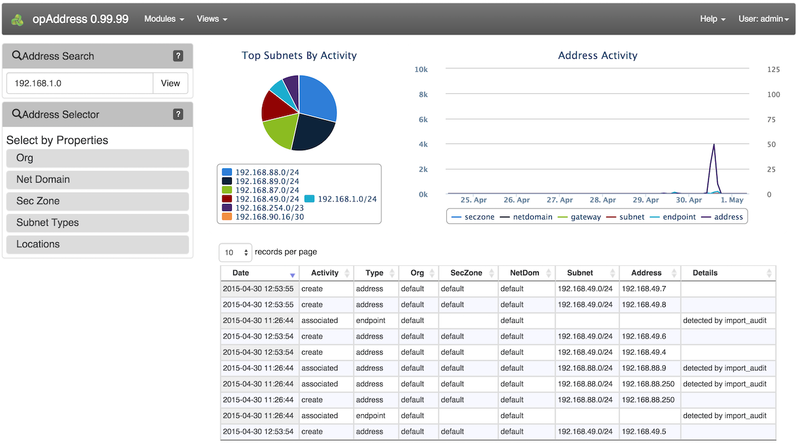 Identify all of your domains and subnets. Allocate your address space intelligently. opAddress handles scenarios unique to your business, such as multiple tenancies and overlapping address spaces.